Get ready to live life in extravagance! Godrej Properties, the world- renowned builder who is ruling India since decades. The name is enough because of the variety and quality products they have produced till now. In terms of Real Estate they are globally known because of their commitment and quality construction. Life is just 1% you are the maker of it, who makes it 100%! 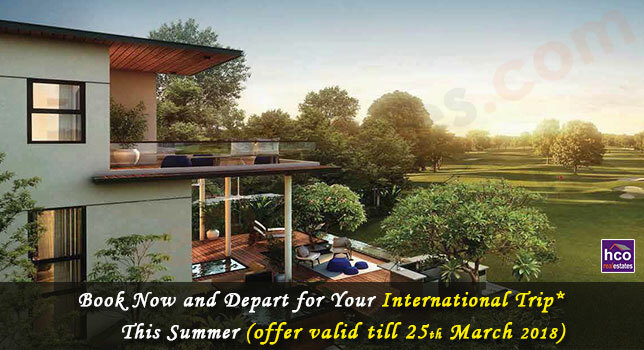 Make it 200% at Godrej Evoke Villas where luxury meets comfort, relaxation meets privacy. One of the low density projects sprawled over wide acres of land where you get eye- catching surroundings. Sector 27 Greater Noida, a very prosperous location which is fetching lot of attention because of the regular growth it is showing. This project on this location is like icing on the top, very necessary for maintaining the balance of taste of life. A good financial decision to let the stress away from your life, prepared with the best mind and advance technology.